Can you run Unigine Heaven in Basic mode and post result? I see you have two monitors and how did you set them up while playing games? 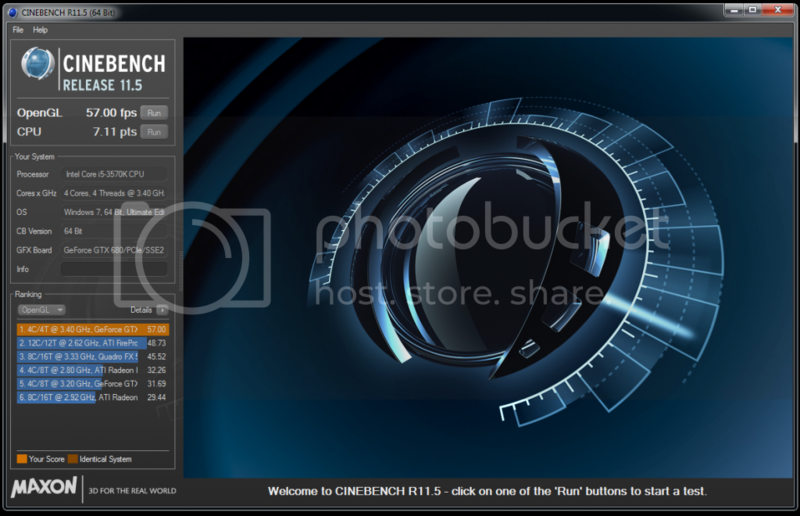 I also went ahead and ran 3dmark11 and cinebench for a reference. I hope that it helps. Scores seem low to me. Not sure what the issues is. 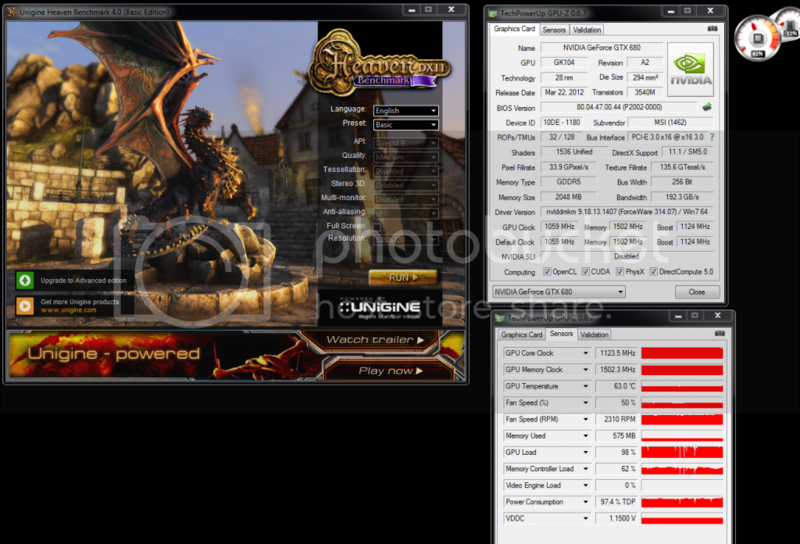 You need to be running the exact same DX9 or DX10 benchmark with the exact same settings for both cards to draw meaningful conclusions. What's been presented so far does not reflect that; all I see is 680 data. Simply going by perception of frame rates during separate gaming sessions for the two cards isn't valid if you are troubleshooting - too many variables. If the monitor you have listed in your specs is correct, 1600x900 Acer AL1619w, then that plays a role in what you are experiencing. It is a fairly low resolution display, and any card from the GTX 280 onward will probably drive it with similarly high frame rates. Same goes for the 1024x720 tests that you ran. Where you will tend to see a notable difference is gaming on 1920x1080 and above. 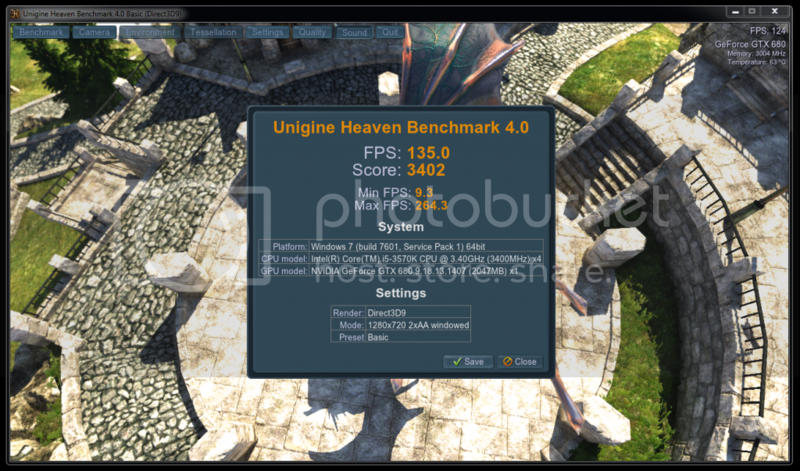 That is where you likely see the 680 pull significantly ahead of the 280 since the 280 can struggle to drive that many pixels with maxed settings, because of lesser gpu performance as well as lack of sufficient gpu memory (1GB on 280 vs 2GB on 680). I myself have a GTX 285 which I used until fairly recently. The 285 is a bit faster than your 280, and I play WoW and so forth. For Skyrim at 1920x1080 with maxed settings a 285 struggles and shows rather poor frame rates, to the point where making playing at all bearable requires downgrading shadows and antialiasing (gpu performance issue) as well as avoiding high res texture packs (limited gpu memory and slower gpu memory bandwidth), whereas a 680 or 7970 work really well fully maxed out with hd textures. 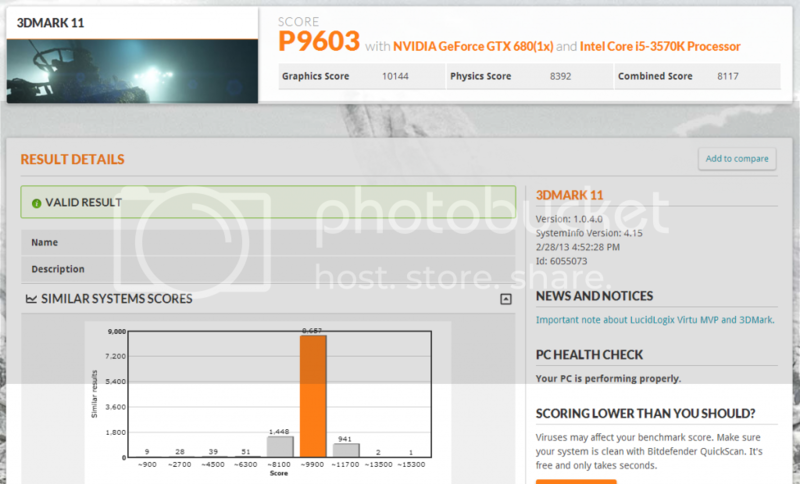 As to whether your 680 is performing as it should, I suggest checking some of the review sites where they provide 680 details for specific settings in particular benchmarks and see if your results are in the same ball park when you run those benchmarks yourself. Last edited by ZeroChill; 28-02-2013 at 13:33. Or perhaps someone here with a 680 will volunteer to duplicate one of your tests and report their own results for comparison. When you see roughly the same high frame rate for both a lower end card and a higher end card, it typically means you are topping out - the system configuration is holding back the cards from achieving their full potential. If the "bottle neck" was removed, the frame rate for the lower end card would do better and the higher end card would do very much more than that. 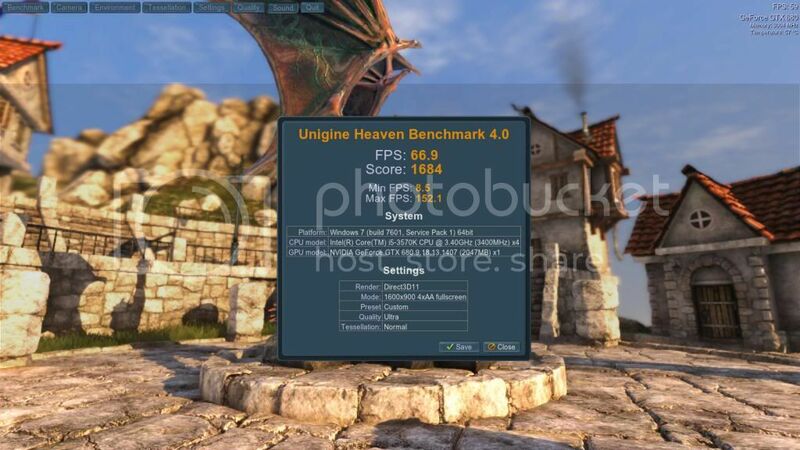 This situation can be seen in various benchmark results and gpu configurations that sites provide to compare gpus, and the reviewers (where astute) will point out the limiting factor. To eliminate a system bottle neck as a factor, you must either run a more stressful game/benchmark, or increase the display resolution, or both. Last edited by ZeroChill; 28-02-2013 at 15:31. 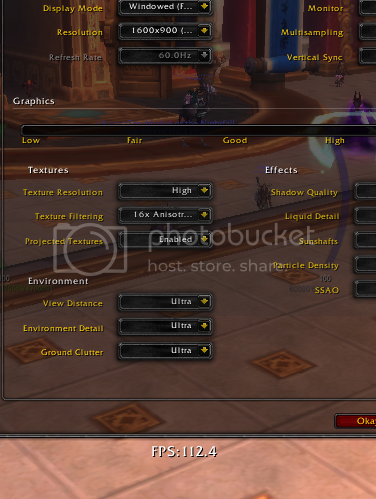 For the WoW fps problem I saw that I was only using 50% of the gpu. 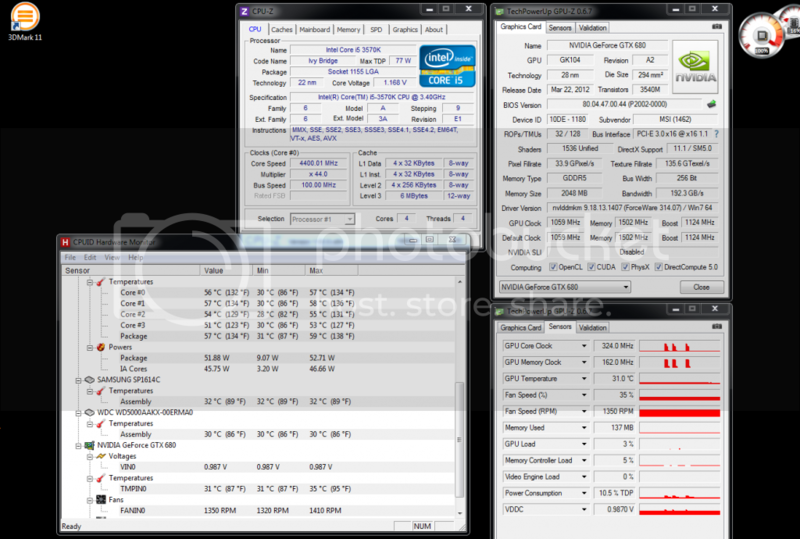 I also saw from my task manager that I was only using two cores of the processor. Core 0 was at 100% and core 1 was at around 60%. The other two cores were barely at 2%. 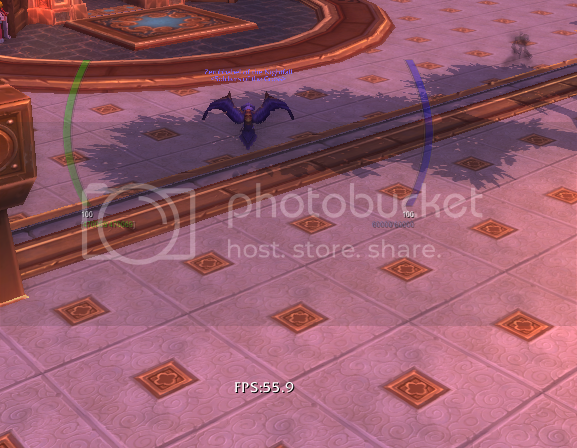 I changed some settings in the config file to force wow to use 3 cores instead of two. Even with a better processor its still a bottleneck. 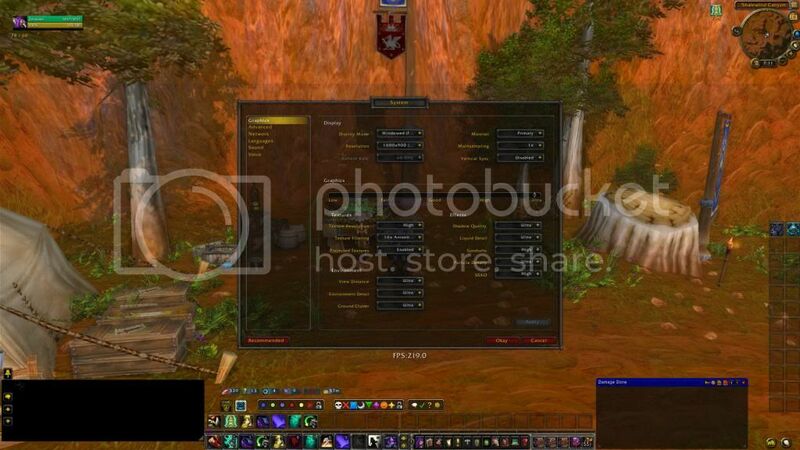 Now I am using around 60% of my proc wich is a 20% improvement from before. 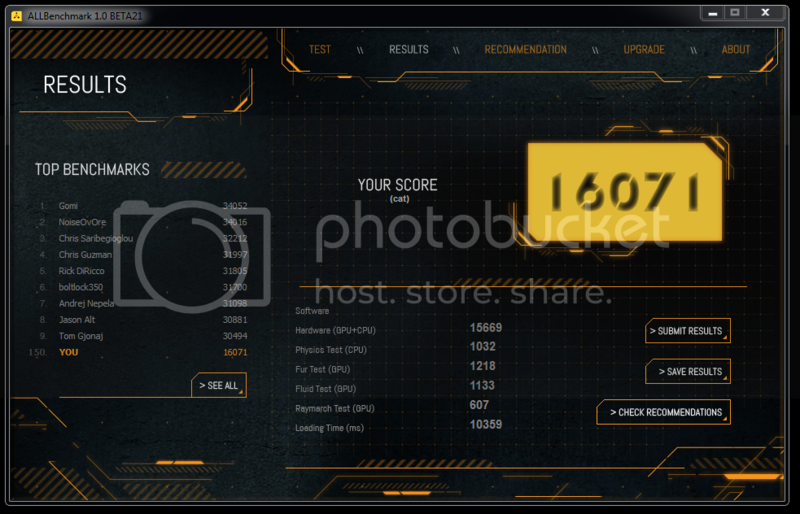 My frame rates have gone through the roof now! In rural areas I am seeing 600+ and in populated areas and 25 man raids its 200+. In the heaviest area of the game I am still over 100 FPS. TY to all that have spent time on this problem! I have Crysis 2 and i am going to see what it does on this system. I have not played it since I built this new system. 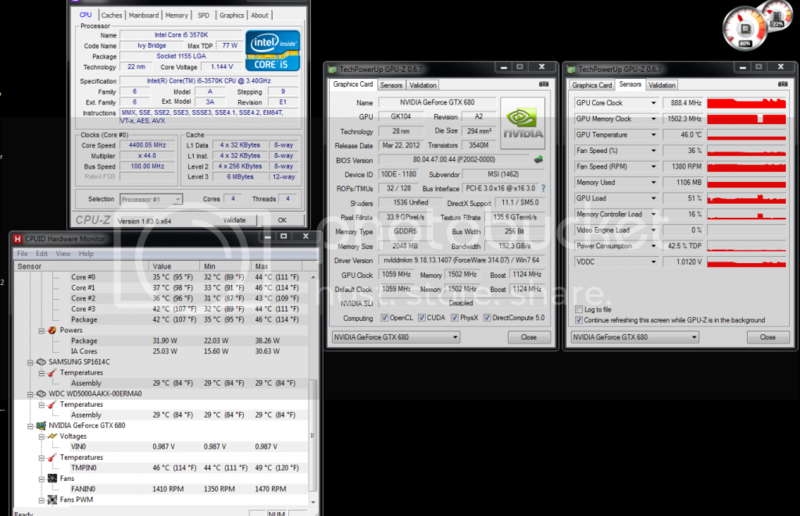 With my i7 920 system, I had WoW making use of 4 separate cores (not just 4 threads sharing cores). Perhaps you can accomplish that also for a bit more performance. Alternate System: i7 3930K @ 4.6GHz, ASUS Rampage IV Formula, 16GB Corsair Vengeance, AMD 6990, Samsung 840 Pro 256GB, Cooler Master HAF XB, Seasonic X-1250, various NoiseBlocker e-Loop fans. Last edited by ZeroChill; 28-02-2013 at 22:39.